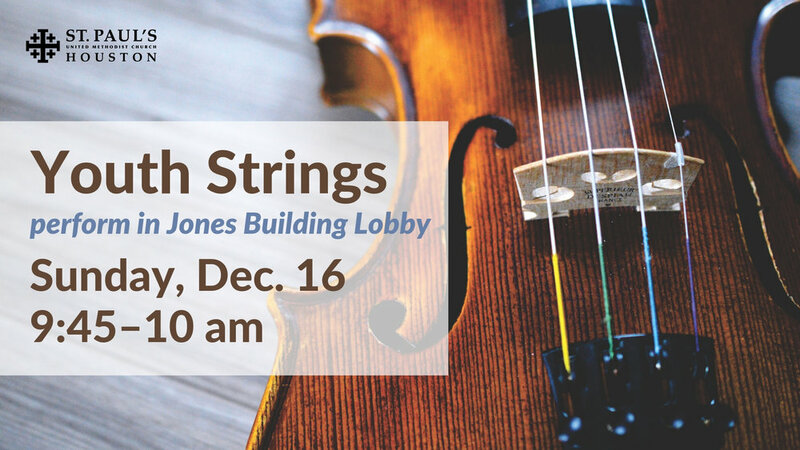 St. Paul's Youth Strings will be in the Jones Building Lobby playing from 9:45–10 am on Sunday, December 16. Under the direction of Antoine Plante, the ensemble includes string players from age five through high school. Come listen to this special St. Paul's ensemble. They will play again at the Children's Christmas Candlelight Service in the sanctuary at 4:30 that afternoon. Primetimers: "Christmas Traditions, Tales, and Tunes"